You can use the Access Control to remove some information for guests/unregistered users while it is still available for registered users. 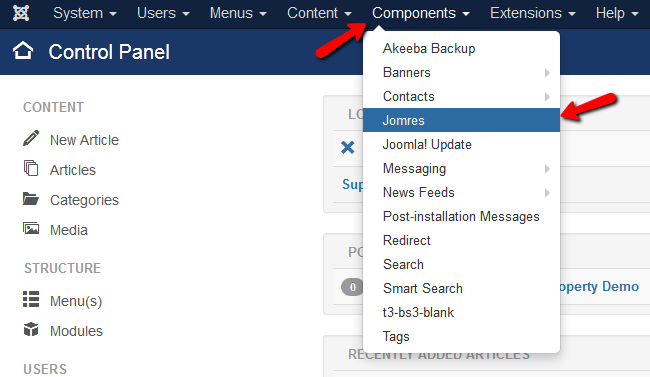 To start, you will need to login to your Joomla admin dashboard and navigate to Components>Jomres to open the Jomres back-end. Now you will need to navigate to System Maintenance>Access Control. Here you can set up which plugins certain user groups will be able to see. For example if you want anyone to be able to see and use the Add favorite option you can specify it here. You have to bear in mind that using these settings will only show/hide the plugins from the user group you choose. However it will not remove the specified function/plugin for that user group. For example, if you set 00009user_option_03_search to 'Manager' a normal user who knows Jomres can still call j06000search.class.php by entering domain.com/index.php?option=com_jomres&task=search in their browser's address bar. The Access Control menu is only used to show and hide certain functions as they may not be needed by some user groups.